The first burials recorded in the cemetery books date from 19 March, when a total of 10 were carried out. José Fonrodona Riva was the first person to be buried in the new cemetery, a Catalan Indian who had been mayor of Matanzas (Cuba). His heirs paid 20 pesetas for his grave. 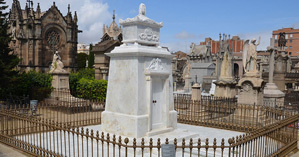 The cemetery was designed and project managed by Leandro Albareda (Barcelona, 1852-1912), a municipal architect who, before building it, visited the most significant foreign necropolises. 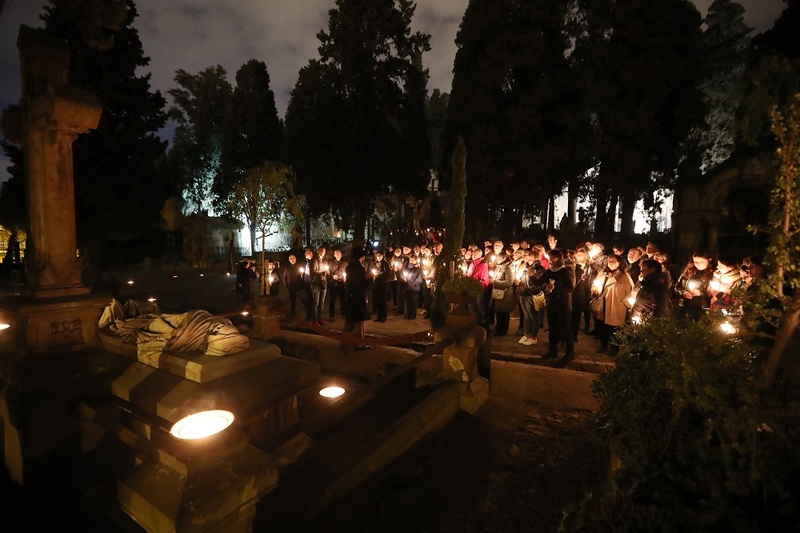 He was also responsible for a number of important monumental graves found in the cemetery. The Montjuïc Cemetery was created in response to a major population increase and the strong economic climate apparent in Barcelona in the first half of the 19th century. 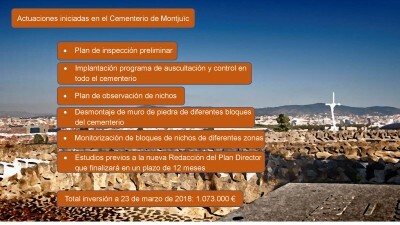 The Poblenou Cemetery was clearly insufficient and could no longer be extended due to its location in an area undergoing significant urban development. 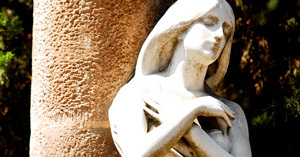 The Montjuïc Cemetery was opened on 17 March 1883 by the mayor of Barcelona, Rius i Taulet. 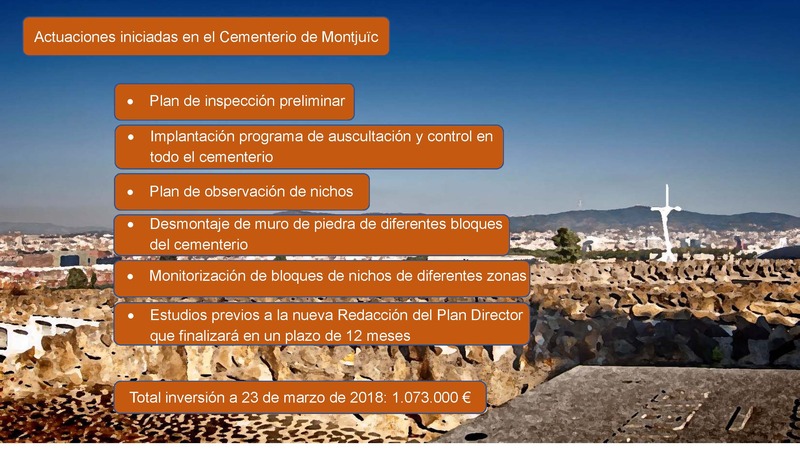 The cemetery project formed part of a programme of improvements undertaken by the mayor to expand the city, an endeavour which would later culminate in the 1888 Universal Exhibition. The cemetery reflects the innovative and industrial trends that characterised the city of Barcelona at the end of the century. 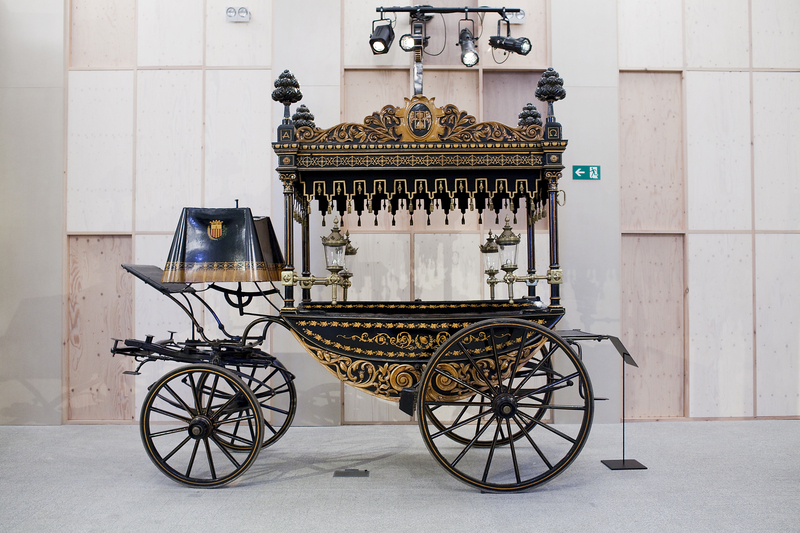 The funeral carriages collection was inaugurated in 1970 by Cristóbal Torra, the then manager of the Municipal Funeral Service. It was displayed in the basement of the Sancho d’Àvila funeral home until June 2012 when it was transferred to new premises at the Montjuïc Cemetery. This collection contains pieces of great historic value. When the decision was taken to house all funeral activity within a single building, the question arose as to what should be done with the carriages which had served the city of Barcelona for 90 years before falling into disuse due to technical advancements and the emergence of the motorcar. The important decision to preserve them and bring them together in a single space led to the creation of the first and only public exhibition of funeral carriages in Europe. 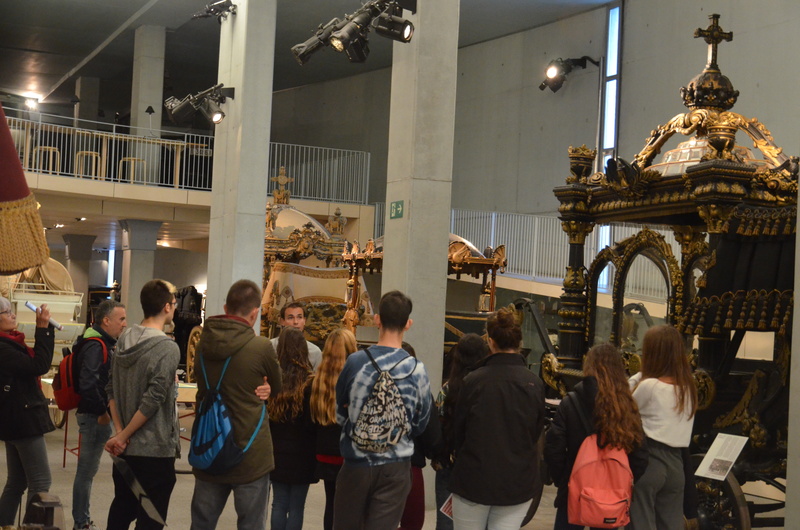 The collection consists of 13 funeral carriages, 6 coaches to carry families to the church and cemetery and 3 motor vehicles, with a variety of other complementary pieces used for decorative or operational purposes. The collection itself shows us how our ancestors developed new funeral customs to transport their deceased to the cemeteries. The use of innovative technologies within the space enables visitors to be transported back in time to gain a vision of Barcelona as it was. 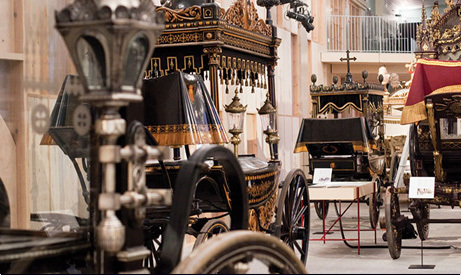 In addition, the dedicated resources which accompany the collection illustrate the way of life and funeral customs of the city’s society throughout the decades in which the carriages were in use. It should be noted that the collection is made up of carriages that were owned by a company and therefore the items that have been preserved were not acquired as museum pieces, but as working objects. 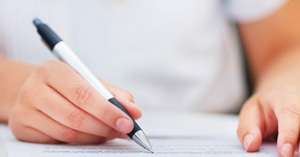 It is therefore difficult to date them, document their history and pinpoint exactly how they were acquired.